Produce your audio podcast from home or remotely from your iPad or computer with StudioConnect HD. Griffin Technology—a leader when in accessories for home, mobile, and technology—recently launched an exciting new product that will bring your podcasting into a new level. The StudioConnect HD is an all-in-one audio interface with two TRS/XLR combo inputs, where each inputs is its own individual channel, allowing the StudioConnect HD to support multi-track recording. Each inputs also has its own gain knob and phantom power. At the back of the unit are a 5-pin MIDI connection, a USB MIDI connection for USB keyboards, and balanced stereo output for studio monitors. 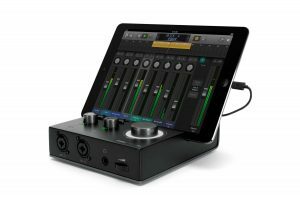 The StudioConnect HD is compatible with iOS (30 pin & Lightning) and OS X (USB), with future support for Windows. 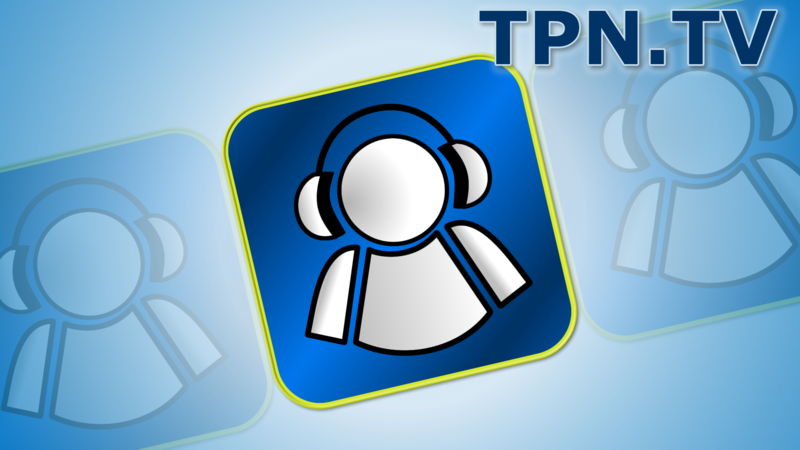 Plus, you can use not just your laptop or iPad, you can also use your iPod Touch or iPhone, making it even more convenient when you air your audio podcast. Using the two stereo inputs, you can record 4-channel audio by selecting which instruments you want to use from the left and right stereo inputs. This also allows you to use multiple instrument or microphones at the same time with this USB 2.0 device. And with only $199.99, you can already own this audio interface starting this Fall. Learn more about StudioConnect HD and see how it can take your podcasting into a new height. Boxee is showing off the new Live TV tuner is a USB dongle that you connect to the Boxee. 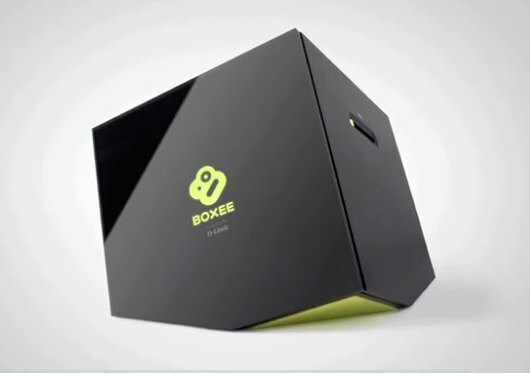 Plug your cable or antenna to the dongle, and watch your shows from the Boxee box. There is also a social network option to this device that will help you find shows your friends are watching. The Boxee live TV tuner USB only works on Boxee box. They have put out version 1.5 for Windows, Mac, and Linux, but also announced they will be moving away from those platforms to focus on the Over the Top TV device. No matter what technology is involved, consumers are still anxious about their battery levels – and mobile connectivity is “critical path” to almost everyone’s business and personal lives. Bringing Design to the world of power cables, Y adapters, power blocks, and battery chargers captures the innovative approach that comes when products are Built to Tylt. 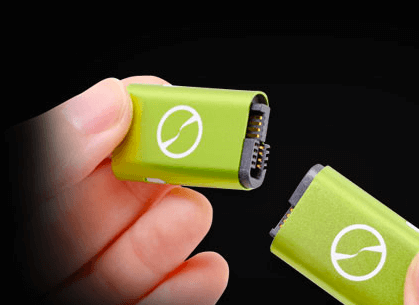 iTwin: An Infinite Capacity Thumb Drive ? There is nothing more handy than having a USB stick – the ubiquitous “thumb drive” or “jump drive” with your critical documents. The problem is – the document hanging around for years on your desktop system is NOT on the thumb drive. You need it Right Now! ASAP ! That’s the problem that iTwin solves. You plug in Plug one half of iTwin into your online office computer. Drag’n’drop files into the iTwin window to share them. Take the other half of iTwin with you. You will have instant access to all of the shared files, from any other online computer. No configuration, no VPN token card, no login. Is your home infested with Wall Warts ? – the wall transformer power supplies that seem to multiply like rabbits in any home that has a tilt towards technology. The is a solution to that problem -most assuredly wife approved, removing cords and clutter from countertop, desk, or dresser. 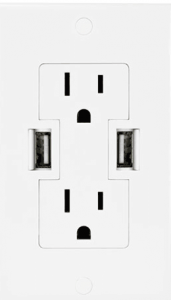 You don’t have to unplug the light to charge yourApple iPad ,iPhone, Android™ tablets and phones, tablet computers, cellphones, gaming systems (Nintendo, Sony PSP, etc. 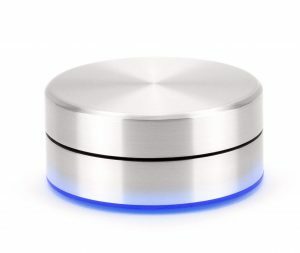 ), Bluetooth headsets, digital cameras, or GPS devices which charge via standard USB plug.